Nintendo will release a New Nintendo 3DS XL system themed around Fire Emblem Fates, the company announced today. The $200 system launches on February 19 alongside the role-playing game. It does not include a copy of the game, but it’s decked with some nice-looking art inspired by the game. Take a look. There will be two separate $40 versions of Fates, Birthright and Conquest, each with their own complete story. Purchasing one allows you to buy a $20 digital version of the other, while there will also be a third version called Revelation coming after launch. 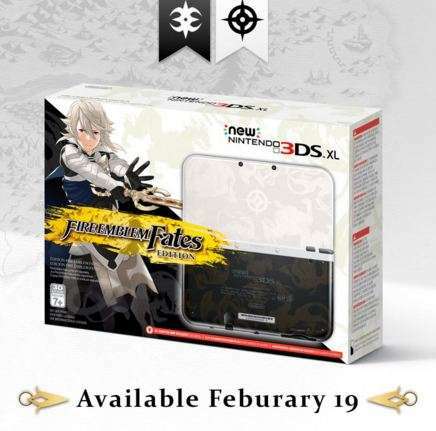 Additionally, a special edition of Fates will be available at retail for $80. This consists of all three versions of the game, an artbook, and a 3DS XL carrying pouch. Fire Emblem Fates launches for 3DS on February 19 and will be followed by a variety of DLC. Previous articleTwo planks or a tray?